Born and bred in the melting pot that is Johannesburg, Marco Cianfanelli makes art that combines numerous contradictions. Monumental and intimate, organic and rigid, historical and contemporary. We were lucky enough to nab an interview with the Italian blooded artist! After completing his studies at the University of the Witwatersrand in Johannesburg, Marco Cianfanelli went on to win a number of prestigious awards for his work, including the Absa L’Atelier Award. 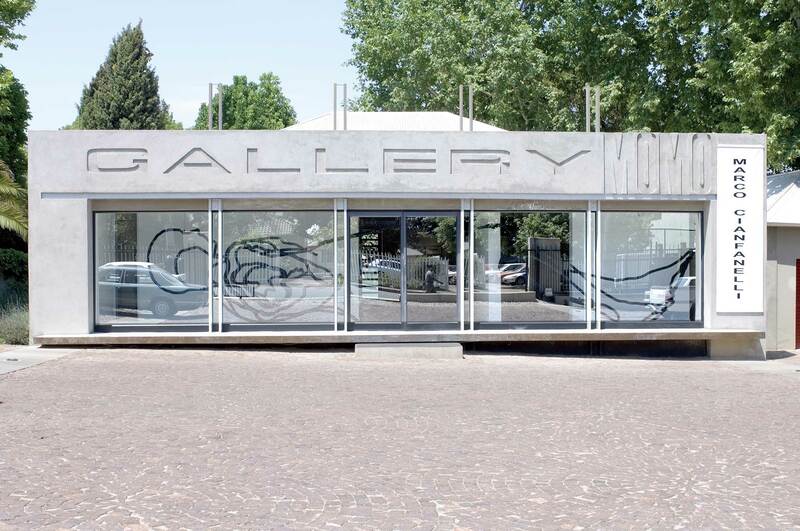 Cianfanelli has been actively involved in creating new spaces and dialogues in post-apartheid South Africa. He formed part of the team that designed Freedom Park, a monumental public space aimed at uniting cultures. In addition, much of Cianfanelli’s work focuses on the tensions between the digital and human realms that we operate in, and aims to collapse constricting binaries through innovative combinations of form, concept, and material. Firstly, what was it like studying art in Johannesburg in the late ’80s? Marco Cianfanelli: I think artists and people at that time benefitted from the energy that the country was feeling. As troubling and difficult as the context and the reasons for it were, it consequently made people believe in purpose and meaning and in the importance of interrogating things. What messages do you want people who view your public art to take away? Marco Cianfanelli: It’s always rewarding to get unexpected positive responses from people of diverse backgrounds. I think the way those responses come about is due to the combination of the way something is made. The way you can engage with it, and what the narrative and meaning is, with the result that people get out of it what they want to. 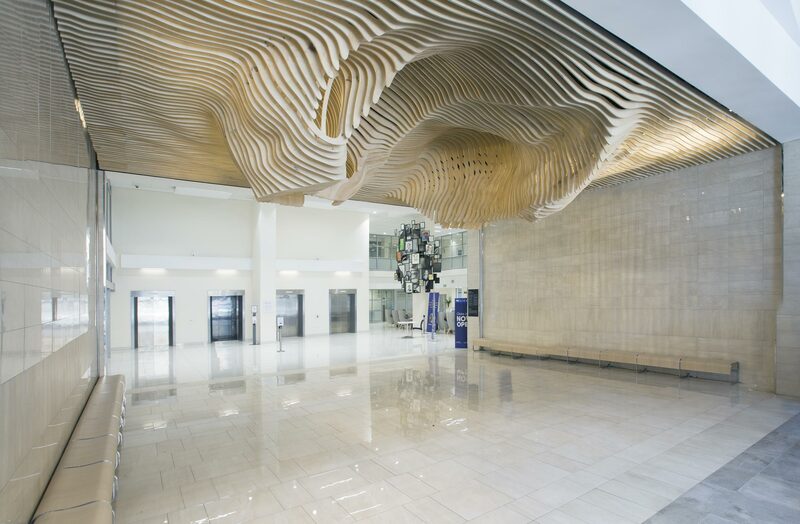 Your work combines rigid materials like steel with organic forms such as trees, the brain, and human bodies. What are the reasons behind your contrasting of form and material? Marco Cianfanelli: When we produce work for galleries there is much greater freedom – the materiality can be more transient. Conversely, when you’re producing outdoor work, your available materials become much more limited. For the processes I’ve engaged with, sheet metal is very suitable. These are mostly digital and involve laser cutting, for example. The permanence and structural integrity of steel also make it effective for my work. Marco Cianfanelli’s Projected Development exhibition took place at the Gallery MOMO this year. Could you describe your artistic process for monumental pieces such as Divergent and Urban Being? Marco Cianfanelli: The construction of the monumental pieces is a varied process. We develop the project on two levels – concept and realisation. The realisation procedure includes engaging with engineers and architects. It’s a process of discussion, learning, and problem solving. Much of the design involves digital platforms, so we create the technical information, and then pass it on to the fabricators for them to assemble it. 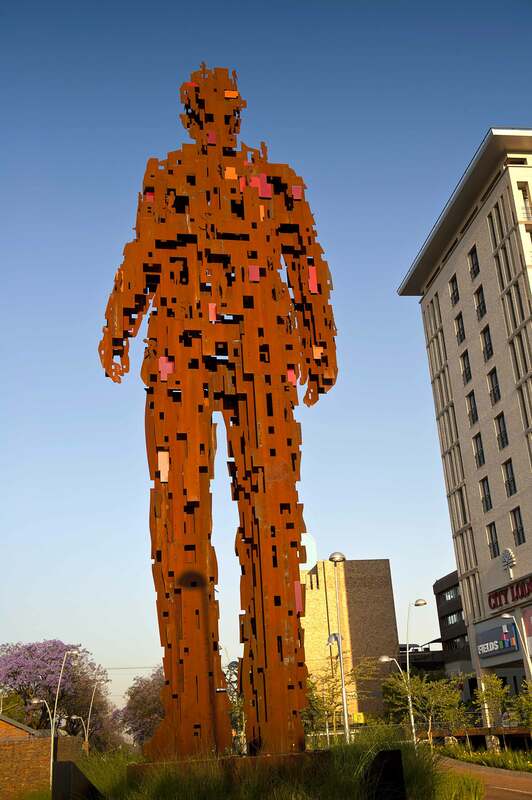 Urban Being by Marco Cianfanelli in Hatfield, Pretoria. Does your Italian heritage influence any aspects of your work? Marco Cianfanelli: I’ve always felt very close to Italian culture. In the past I’ve used Rome and Renaissance culture as a parallel means for talking about my experiences in South Africa. What astounds me about Italy is the cross-section of time and history. In terms of art, architecture, and public spaces, that is so visible there. 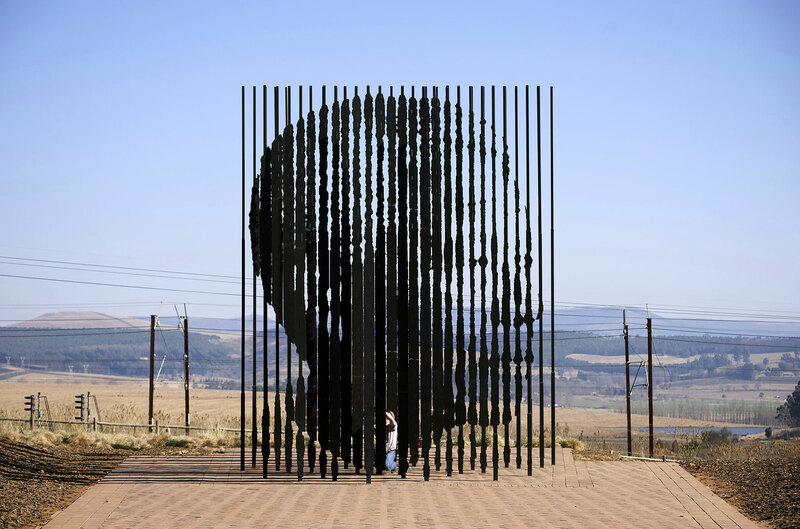 Release, your artwork commemorating Mandela’s imprisonment and status as an international icon, operates on many levels. Could you describe your intention for the piece? Marco Cianfanelli: Release was a collaborative process between myself and my late friend and colleague Jeremy Rose. We wanted to create a likeness of Mandela that people could recognise and engage with on an emotive level. One that would have a sculptural form that was iconic and monumental without being conventional. Additionally, the surrounding environment is part of the artwork, and is a symbolic reenactment of the long walk to freedom. Finally, which Italian artist would you recommend visitors to Italy make a point of seeing? Marco Cianfanelli: The Naples National Archaeological Museum is incredible! It houses many of the frescoes and mosaics from Pompeii. What is unbelievable about Italy is that every time you turn a corner you encounter something astounding that is modestly existing in the urban fabric. Things that you study and see in books, you can see in the street. One almost doesn’t have to go into a museum! See more of Marco Cianfanelli’s artwork at www.marcocianfanelli.com. Art fan? Be sure to check out these articles, too: Scuderie del Quirinale: Excellence in art and appreciation, Peggy Guggenheim Collection, Meeting with the Italian artist Cameron Platter, A Journey to Ancient Egypt.